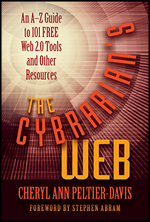 In 2008, OCLC conducted focus groups, administered a pop-up survey on WorldCat.org and conducted a Web-based survey of librarians worldwide on Online Catalogs. The report - Online Catalogs: What Users and Librarians Want is now available for download. •The end user’s experience of the delivery of wanted items is as important, if not more important, than his or her discovery experience. •End users rely on and expect enhanced content including summaries/abstracts and tables of contents. •An advanced search option (supporting fielded searching) and facets help end users refine searches, navigate, browse and manage large result sets. •Important differences exist between the catalog data quality priorities of end users and those who work in libraries. •Librarians and library staff, like end users, approach catalogs and catalog data purposefully. End users generally want to find and obtain needed information; librarians and library staff generally have work responsibilities to carry out. The work roles of librarians and staff influence their data quality preferences. •Librarians’ choice of data quality enhancements reflects their understanding of the importance of accurate, structured data in the catalog. The findings suggest two traditions of information organization at work—one from librarianship and the other from the Web. Librarians’ perspectives about data quality remain highly influenced by their profession’s classical principles of information organization, while end users’ expectations of data quality arise largely from their experiences of how information is organized on popular Web sites. What is needed now is to integrate the best of both worlds in new, expanded definitions of what “quality” means in library online catalogs. The report concludes with recommendations for a data quality program that balances what end users and librarians want and need from online catalogs, plus a few suggestions for further research.